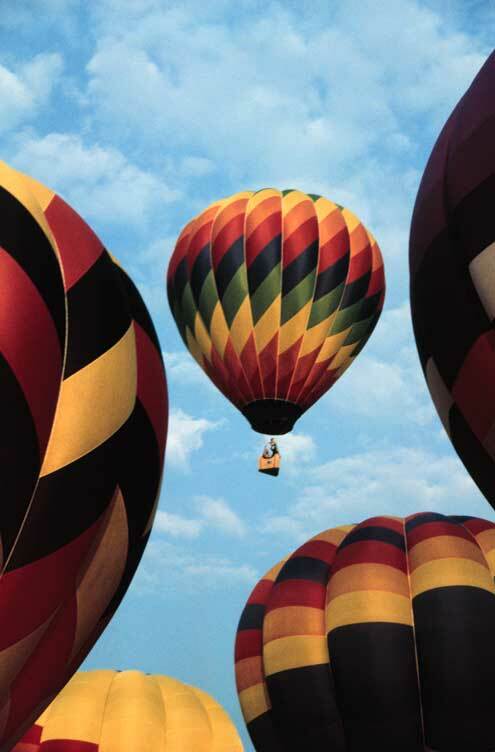 The Hillsborough Balloon Festival and Fair is a major four day event since it was created by merging the former Hillsborough Firemen’s Weekend and Hillsborough Balloon Festival. Revived in 2008, the old fashioned Fireman’s Muster on Sunday afternoon features competitions among the area fire departments. Along with the typical thrill rides and games of the Carnival Midway, the Festival also features some of the best regional performing artists, including Hillsborough’s own Country and Western vocalist, Angela West, with her group “Showdown”. The main event has three more liftoffs weather permitting. Balloons launch at sunrise and a few hours before sunset. While this allows spectacular photos, the real reason is that winds are calmest at the beginning and the end of the day. Thermal activity and related winds prevent balloons from flying midday. Although it requires getting up extra early, sunrise flights are usually best. While there’s no steering wheel, a pilot can change direction by ascending or descending into a wind going in a new direction. The air above us moves in different directions at different altitudes, allowing a balloon to shift directions by changing altitude. You never know where you’re going until you get there. That’s part of the charm of ballooning, a balloon goes wherever the winds take it. Liftoff is at 6pm and 6am! Like more information on this festival close to home? Connect to the Hillsborough Balloon Festival & Fair website. Parking is only $5.00 and most of the event is free. The Hillsborough Balloon Festival is located on Preston Street in Hillsborough, New Hampshire. Browse this map for more detailed directions!